CHICAGO, IL, December 4, 2018 -- Stuzo, the leading provider of personalized and predictive retail commerce technology, powered by its Open Commerce Platform and Hatch Loyalty, a leading customer activation engine that empowers enterprise retailers and partners to connect with their customers through comprehensive loyalty programs, announced today a partnership wherein Hatch will standardize its Loyalty infrastructure and Point-of-Sale (POS) connections on Stuzo’s Open Commerce Platform. 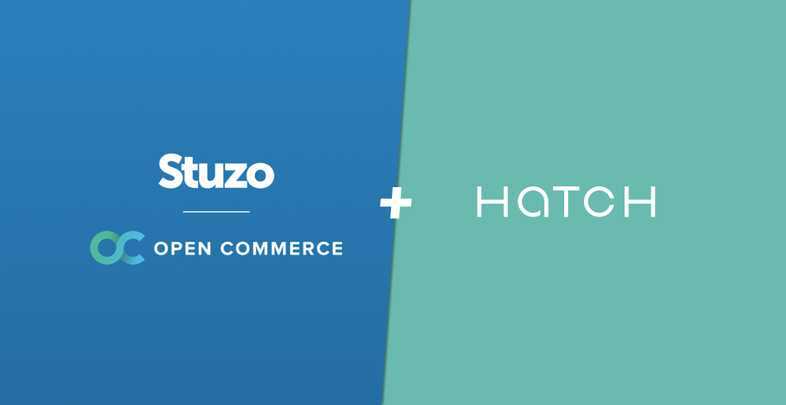 The partnership combines Stuzo’s expertise in enterprise retail middleware and POS systems with Hatch’s leading customer activation engine, creating a powerful turnkey commerce and loyalty solution. “The combination of Hatch and Stuzo will enable retailers to better manage their consumer lifecycle across various consumer channels and to quickly plan for, test, and implement a solution that communicates concurrently with leading POS systems,” said Jake Kiser, CEO at Hatch Loyalty. Hatch + Open Commerce enables seamless integration of mobile payments and loyalty with POS hardware to create a unified digital and physical consumer experience. This helps retailers personalize the consumer experience, generate deeper consumer insights, and build one-to-one consumer relationships. Stuzo is the leading provider of personalized and predictive retail commerce technology solutions, powered by its Open Commerce Platform, software services, and insights. Hatch Loyalty has built a customer activation engine designed to connect retailers to their customers in the moments that matter most. The platform offers a suite of flexible, dynamic, intuitive products that empower enterprise retailers and partners to build comprehensive customer activation programs. Hatch is headquartered in Chicago, Illinois. For more information, visit www.hatchloyalty.com.